Single dad and Thunder Point's deputy sheriff "Mac" McCain has worked hard to keep his town safe and his daughter happy. Now he's found his own happiness with Gina James. The longtime friends have always shared the challenges and rewards of raising their adolescent daughters. With an unexpected romance growing between them, they're feeling like teenagers themselves—suddenly they can't get enough of one another. And just when things are really taking off, their lives are suddenly thrown into chaos. When Mac's long-lost ex-wife shows up in town, drama takes on a whole new meaning. Mac and Gina know they're meant to be together, but can their newfound love withstand the pressure? 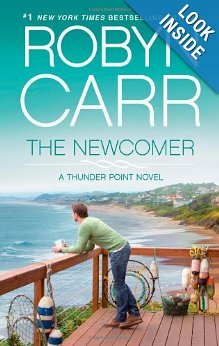 The Newcomer is book 2 of Thunder Point series and you if you like Robin Carr's Virgin River Series you will love this series. Mac & Gina have to decide when is the right time to get married and Mac is thrown for a loop when is ex-wife comes back in the picture after 10 years. Sarah and Coop are both having to make like changing decision and they wonder their love for each other will get them through. I liked that the book centered on the teens and addressed issues that our children are currently dealing with. 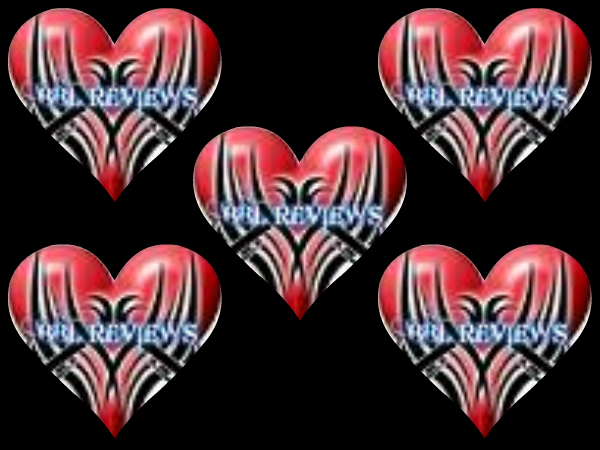 Robin Carr's books make you want to curl up in front of the fire and read your day away. As always I finished The Newcomer wanting to move to the small town of Thunder Point. This book will leave you feeling warm and fuzzy and wanting to read more about the residents of Thunder Point. I am so glad I read this book and I highly recommend it to all.